The demise leading to this event started long before when the Romans began to lose territories to different Barbarian tribes. Generally, economic, environmental, social and cultural factors contribute to such a demise. Factors which are usually connected in some way. The Barbarian attacks on Rome came from a migration caused by the Huns’ invasion of Europe in the 4th century. By this point, the Roman Empire was receding fast. When the Huns rampaged through Northern Europe, they drove Germanic tribes to the borders of the Roman Empire. 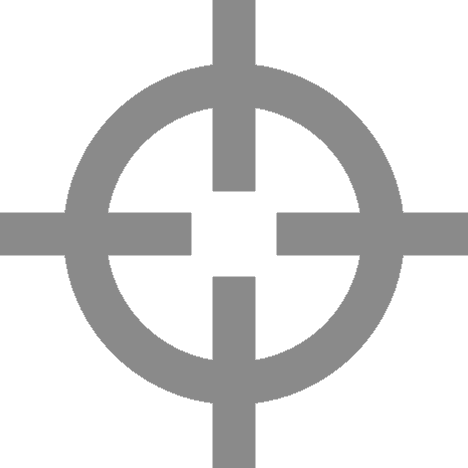 Christianity had turned Roman citizens into pacifists – so the population failed to defend themselves and their territories. The Empire had also spread itself too thin, with its armies engaged in battles across its falling territories, stopping it from being able to defend its homeland. The Empire had diversified to a point where there was no going forward nor back. It didn’t have the resources. A weakened capital was left wide open to take. Striving for development or growth, on the other hand, is completely necessary for an empire or organisation. It needs to do so to thrive. 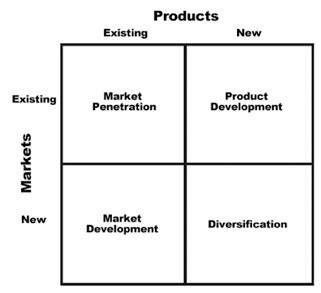 The Ansoff Matrix is a framework to help marketers devise strategies for growth. It consists of four strategies: Market penetration, market development, product development and diversification. A market penetration strategy consists of the organisation trying to grow using its existing offering in existing markets. A market development strategy consists of the organisation trying to expand into new markets using its existing offering. A product development strategy consists of the organisation trying to create new offerings targeted at its existing markets. A diversification strategy, however, is a little different. It consists of the organisation growing its market share by introducing new offerings in new markets. It requires both product and market development. New skills, knowledge, people, processes and facilities. And it’s risky because you’re not utilising your specialisms and what made you great in the first place. Environmental and economic factors are always against you. Making development on two fronts hugely difficult. But what often goes unforeseen, is that the development tasks are given to the people of the organisation. Cultural and social (and then, political) factors – internally and externally – are then at play. If objectives and attitudes aren’t aligned throughout the organisation, it can fall apart during a diversification strategy. Internal divisions, squabbling and struggles for power can kill even the most powerful empires. This is on top of the natural stress such a strategy will place on an organisation that leads decision-makers to make bad decisions. The Roman Empire was just too diverse – it went ruthlessly in too many directions. Each territory it acquired had its own set factors – its own set of challenges. Each needing varying and increasing resources to maintain. Unknown territories or markets brings with it such uncertainty. It happened with the Persian Empire and Nazi Germany. XciteLogic, SwissAir and Enron are examples in the business world worth reviewing who adopted similar growth strategies and failed. Of course, Apple, Walt Disney and Virgin are some of the few success stories. Which is why 2/3 of all the fastest-growing organisations fail. Because they fail to understand the implications of diversification. And why a diversification strategy is adopted in the first place. Marketers and Product Managers need to always remain impartial and objective. I like the history of the Roman Empire part. It’s something Id like to know more about. I’m a history enthusiast, but outside knowledge knowledge of what civilizations came before the Romans (Romulus and Remus) , their change to rulers through Julius Caesar resulting in an oligarch and not a Roman Republic, which oddly enough lead to 400 or so years of piece — I haven’t learned much about the specifics of the fall of the Western Empire, and finally the East. The East was much later and had to do with the Ottomans, Ithink. “Christianity had turned Roman citizens into pacifists – so the population failed to defend themselves and their territories.” To me, this was the most important line of the whole article. It’s so true and so scary. Well written overall. Great illustration with history and business examples. Thanks Goldie 😊 Appreciate you stopping by! Thank you for your blog and for your very interesting and informative article! My dad being a history professor, I have always been very interested in history… I really liked reading this post… something new to learn and very interesting to read… great content.. Very interesting ! Congratulations ! Brilliant! I love history and the historical perspective, plus how they apply to modern business marketing strategy. Wow, awesome post. Chilling, isn’t it? !